Here’s a chance to give a big thumbs up in the Request to Speak system at the Arizona State Legislature. You can weigh in on the following bills anytime now or while they are in the committee meeting. SB1442 state fleet; neighborhood electric vehicles (Pratt) states that when agencies request vehicles, preference will be given to electric neighborhood vehicles unless they demonstrate it will not fit their needs. This seems like a good idea to reduce pollution and burning fossil fuels. SUPPORT. HB2493 appraisal methods; solar energy devices (Cobb) clarifies that leased solar rooftop systems are not subject to property tax, just as those systems owned by the property owner are not subject to property tax. This is a question of equity. Why give a tax break to those who can afford to buy a system outright versus those who cannot afford to buy and who lease instead? 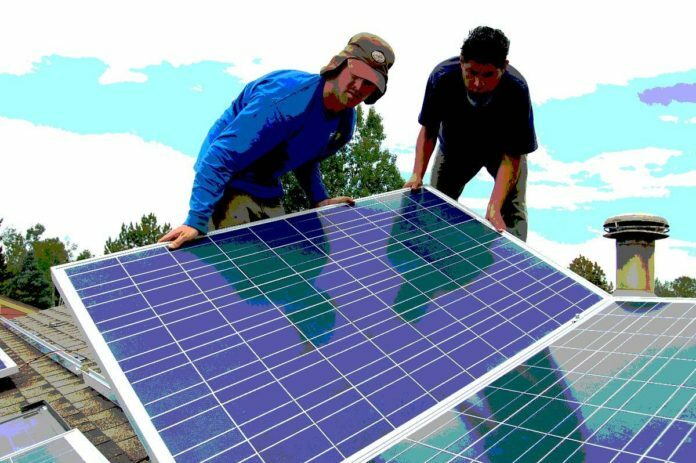 Why make solar less affordable for those with lower incomes or less upfront capital? SUPPORT. You can also call or email the following members of the Senate Finance Committee and ask them to support HB2493. If they say they are supporting it, also thank them. Previous articleCall your Reps now to save ballot initiatives! While electric vehicles seem like a good idea a lot depends on the source of the electricity to charge their batteries. They are not near as good for the environment if their batteries are being charged by electricity generated at a coal fired power plant. Perhaps this legislation should be amended to require sustainable recharging stations.